This week at The Longwood Look we are seeking to help your love life with fashion sense—because there’s nothing worse than going out on a date with a guy that you barely know and halfway through think, “I know you. I’ve dated you before.” We can save you some time and definitely some heartbreak. We’ve been on enough dates, and we are 98% sure that you can know important things about a guy before you ever even speak to him. As strange as it may seem, you need to start looking at pants. And judging the men who wear them. This isn’t very scientific. But you can’t say we didn’t warn you. 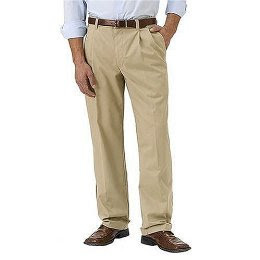 1)Khaki: Men who wear Dockers or J.Crew pants constantly aren’t actually men at all, at least emotionally—they’re either little boys or they’re elderly—and sometimes, they’re both. Don’t get us wrong, khaki is great sometimes, it’s clean and tidy and all those boring things. When your closet is full of it, though, there’s a problem. Grow up or live a little. There are other things out there. Our advice: Keep looking. 2)Skinny Jeans: Like Khaki Men, Girl Pant Boys hang out on two opposite extremes—either very confident and fun or totally insecure and obsessed with being trendy. We mostly hang out with the confident and fun variety, and a lot of our cool guy friends that dress well all rock skinny jeans. (For a funny take on skinny jeans by someone who knows, check out the post below) Our advice: Proceed, with caution. 3)Distressed/Bleached/Deliberately Damaged Denim: Oh boy. Here’s a question—why would you pay money (sometimes extra) for a pair of pants that some poor kid in a third-world country had to spend extra hours ripping up for your aesthetic delight? These men cannot be trusted. We feel, quite strongly, that if someone has a choice between lovely intact jeans and ones with gaping holes and frayed seams and chooses the latter, they’re probably not going to be able to appreciate a good thing when they see it. Our advice: Steer clear. 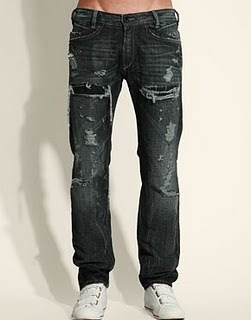 4)Worn-in Jeans: A silhouette labeled “worn-in” is not only kind-of gross, it’s also questionable. Someone who wants pre-worn pants? Seriously? Well, whatever the reason, we’ve discovered that Worn-in Guys aren’t so bad. Clearly, they may not welcome change or adventure, and they probably enjoy cheeseburgers. They might really love dogs. We’re pretty sure you know Worn-in Guys. The problem with them is that they really tend to be against change. These are men who live by the “if it ain’t broke, don’t fix it” mentality. Make sure you give them plenty of notice if you’re going to leave them. Our advice: Give him a try. 5)Boot-Cut Jeans: Now we’re talking about men who wear normal old jeans. Uncomplicated, drama-free jeans. Just like them. We may write a fashion column, but we know the value of a guy who wakes up in the morning and knows that there are more important things than the pants he’s wearing. We’re not saying these guys don’t care—they just happen to prefer jeans that always look good without being fussy. 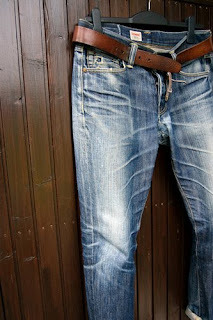 Medium to dark wash, boot-cut jeans work with all kinds of shirts and make the whole world a little simpler. Our advice: Find one for yourself. Like jean shopping, dating takes a few tries, and things can always change. But as always, the most important thing is finding something that fits your life and makes you happy enough to forget the rest of them.